UK supermarket chain, Tesco, is to transform its Direct website from ‘manual merchandising’ into an automated ‘algorithmically merchandised’ platform, reports Marketing Magazine. Tesco Direct is the non-grocery website of Tesco, selling everything from home furnishings and electrical equipment, to toys and clothes. The transformation is expected to make Direct a more Amazon-esque portal, with customers’ content driven by recommendations and other personalized data feeds. Furthermore, data from Tesco’s Clubcard loyalty scheme will also be integrated with the new website, meaning that users can expect to see content based on their previous purchasing habits. Tesco is the world’s second largest retailer, in terms of profits, after Wal-Mart. Tesco was founded in Middlesex, England, in 1919 and it’s now the grocery market leader in the UK. It has over 5,000 stores across Asia, Europe and North America, with over 160 stores in the US alone, branded as ‘Fresh and Easy’. The retailer has existed online since 1994, though its Tesco Direct online shopping service wasn’t launched until 1997. According to sources quoted in Marketing Magazine, the website relaunch will be much broader than simply improving recommendations, and Tesco is hoping to better integrate preferences, orders and Clubcard data. 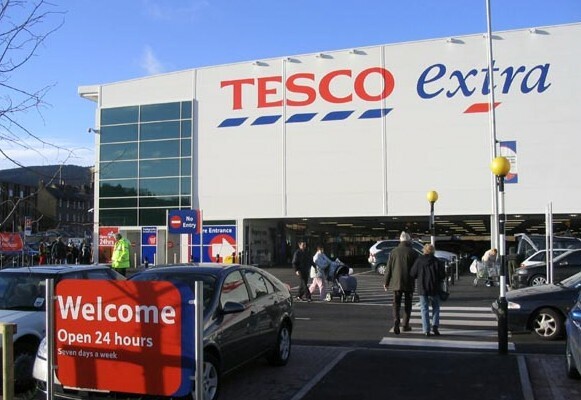 It’s also thought that Tesco is looking to add many ‘order and collection’ points in the UK, to support its vision of being the ‘world’s best multichannel retailer’.